"To set Europe a blaze"
F section: Maitre W.J. Millet. Jean Millet was born in Sarceles, France on 4th December 1906. He attended l'Ecole des Science Politique in Paris and read Law. In 1942 he contacted Lise De Baissac (ARTIST) and through her, France Antelme (BRICKLAYER). France Antelme was on a mission to bring back to London the former French Prime Minister Edouard Herriot but due to his bad health and German surveillance prevent Antelme returning with him. Even though not strictly SOE business, Antelme collected economic intelligence and whilst he was in Paris met the thirty five year old lawyer, Maitre W.J. Savy. They returned together when Anthelme escaped by the skin of his teath from the disaster which overtook his friend Francis Suttill (PROSPER) during the summer 23rd June. 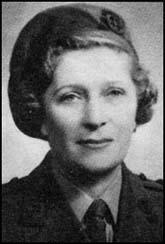 Jean Millet was interviewed by Colonel Buckmaster and was recruited by the SOE. Jean Millet was given his psudonyme SAVY (WIZARD).Jean SAVY worked at his office, as a solicitor, 6 rue d'Alger in Paris. He rented this office from his friend Mr. Gieules who worked for (BRICKLAYER). He furnished introductions to his political and official acquaintances, lodged Antelme and other members of his group from time to time and gave large financial assistance. 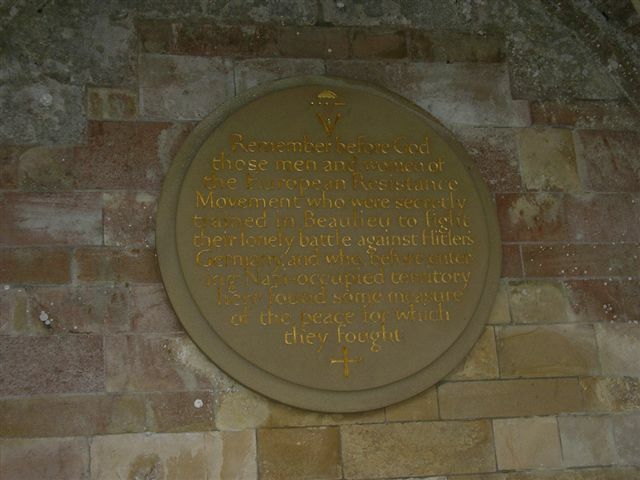 He was closely connected with Antelme's ravitaillement scheme for the Allied troops. In early July, Mr. Gieules, noted that the Gestapo had assembled outside of his office. 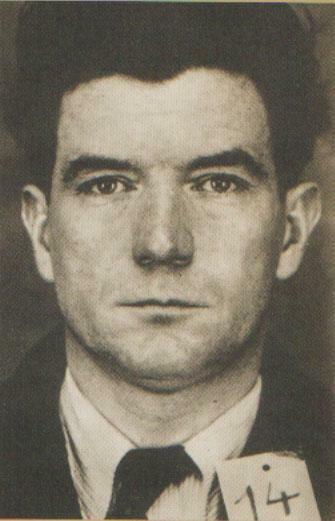 In a act of courage Mr. Gieules rushed to the Metro station Tiulleries, knowing that Jean Savy was soon to arrive and would fall into the Gestapo's trap. Here, Mr. Gieules waited until Jean Savy arried and informed him of the events. On the 19th / 20th July, Lt McCairns 'Mac', flew his Lysander over the Channel, in terrible weather, "50 minutes of tense flying". He landed at 'Grippe' a field E/SE of Tours, 1km 500 E/NE of Azay sur Chers (37). He dropped of Isodore Newman and another person and picked up Jean Savy, and his friend Antelme, the now hunted BRICKLAYER. On the same occasion Dericourt also returned to London. Antelme and Savy upon returning to the England, worked as H.Q. officers on false documents. Meantime back in France, around the 28th September Mr. Gieules was captured. The Gestapo had nothing to hold against him but it seems as if another agent had 'talked'. Mr. Gieules alias Marcellin who had worked with Savy was deported to Buckenwald. His son Daniel Gieules also worked with La Resistance. A person who he had to meet, had been captured by the Gestapo the previous day. The Gestapo set a trap for him. Upon arrival on a bridge in Paris, Daniel Gieules fell into the Gestapo's hands. Daniel had helped downed allied airmen escape as well as furnishing false papers and distributing tracts to the populous of Paris. He too was deported. Firstly imprisoned at Frense, transited via Compiegne 'Royal lieu' and then sent to DORA. Both survived the hardship of the camps and the war. Operation Gitane was carried out by a remarkable pilot Captain Murray 'Andy' Anderson. The landing ground chosen for Gitane was un-usable and the landing lights had been set up on a replacement field covered by snow. Operation Gitane had already been aborted twice (thrice) due to bad weather. The field was situated S of Vatan, 2km North West of Lagnys. (36) (16th Nov 43, Capt. Hankey; 10 Feb 44, Capt. Milsted; 11th Feb Capt. Whitaker (Faucon)) see we landed by moonlight Hugh Verity. Jean Savy volunteered to return to France again by Lysander. On the 2nd March 1944 he arrived near Chateauroux. He was accompanied by Eileen Nearne (Rose) as his wireless operator. He was on a particularly dangerous mission. He was instrumental in forming a large and wide-spread organization. The establishment and arrangements for the reception and utilization of uniformed teams to be sent into France by parachute on and after the D-Day landings and to undertake special missions. They were received by (GREYHOUND), an escaping network under Section DF. It was run by a Belgium business man named Georges de Lovinfosse situated in a country house near Chateauroux. Georges de Lovinfosse said that he had organized the marking of the field himself, along with Maurice Durieux, who with an amputated leg following a parachute accident returned to England on Andy's Lysander. Jean Savy was a prominent figure in French legal circles and very well known, in addition he suffered from a badly disfigured arm, which rendered him very conspicuous. In spite of this and with the knowledge that he was posted as wanted by the Gestapo, he displayed a complete disregard of personal danger and travel extensively in order to visit a large number of contacts and leaders - themselves marked men - in order to make sure of the sound foundation of his plan. From independent sources (?) we know that he was not content to accept the word of other people on matters of vital importance and always insisted on verifying important matters by personal observation, under the most hazardous conditions. Antelme's arrest disrupted his plans for pursuing supply and financial contacts; seeking to make himself useful, he stumbled accidentally on a piece of intelligence so important that he left in Paris both Miss Eileen Nearne (Rose) and a second operator Jean Gernard Maury (Arnauld) dropped to him four nights before he left for England. (The two operators attached themselves to SPIRITUALIST). Savy's information was about a large secret ammunition dump in stone quarries at Saint Leu d'Esserent. He had discovered precise details of its sitting and, more important of its content: 2,000 V1 rockets, ready to fire. So well did he organize his circuit, that he was able to hand over the completed task to an assistant and return to England for further instructions. Savy was evacuated to England on the night of the 9th /10th April 1944 by Lysander aircraft flown by Captain Taylor. After the most dangerous waiting period of four days, during which time he and his party were obliged to remain in the open air continuously, despite the rigorous climate. 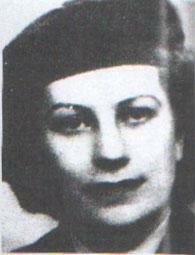 Jean Savy personally organized the reception of the aircraft and the embarkation of his two fellow passengers. These included Eileen's sister, Jacqueline and Mrs Josette Southgate. They left from a field north west of Chateauroux 2 Km S/SW of Villers Les Ormes (36). Lise de Baissac, Philippe de Vomecourt and Arnaud de Vogüe where dropped off. "Je viens de la part de votre ami Antoine pour des nouvelles de la Societe en Batiment" - "L'affaire est en cours"